We all have our own sensitive computer files that we want to keep as private. It could be the bank information, family photos, tax details, and so on. If you’re a Windows 10 user, there are several methods you can apply to secure a folder without buying any additional third party software. These security measures will ensure that your precious files are protected against unauthorized access, thus making them safer. 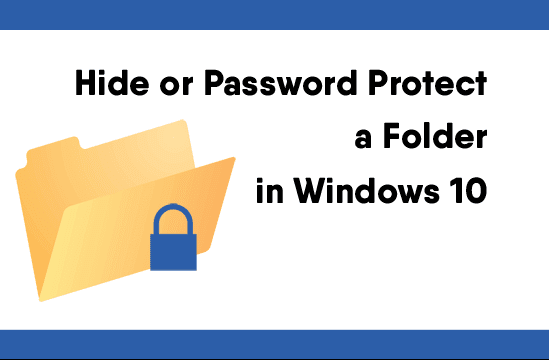 In the article below, we’ll show you the step by step instructions on how to hide or password protects a folder in Windows 10. Hiding or making a folder invisible is the simplest method to protect your files in Windows 10. Simply right-click on the folder of your choice, select Properties, check the option Hidden under Attributes and click on the Apply button to make the changes. Your folder will then be hidden from view. 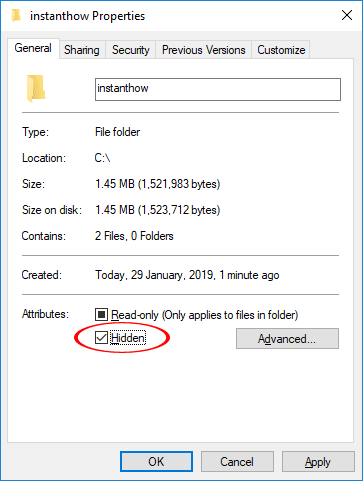 When you need to view the hidden folder again, you’ll have to enable the option to view hidden folder in the File Explorer. To enable this option, click on the Search icon located at the bottom-left of your screen and type “File Explorer Options”. Then, select File Explorer Options that appear under the best match. When the File Explorer Options window appear, go to the View tab, and select the option Show hidden files, folders, and drives. Click on the Apply button to apply the changes. Your computer will then reveal all the hidden folders. The folder hiding method provides a very minimal security protection for your files. 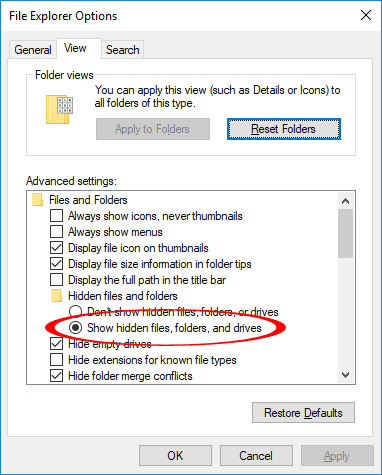 Anyone can still access or view your files by just enabling the option to show hidden files and folders on your computer. It would be much secured if you can safeguard your folder with an encryption and password protection. 7Zip is an open source file archiver utility used to compress / zip or extract files. It also allows users to password protect their folders. Here’s how you can secure your folders with 7Zip. After installing 7Zip, right-click on the folder that you wish to secure, move the mouse selection over to 7Zip, and select Add to archive. This will open the 7Zip window. Enter a password of your choice under the Encryption to secure your archive / folder. Once done, click on the OK button. Now go to your folder location and you shall see a file named the same as your original folder. You may now delete your original folder as 7Zip already encrypted all your folder contents under the newly created archive file. When you need to view your folder contents again, just right-click on the newly created archive file, move the mouse selection to 7Zip, and select Extract to “Folder name”. It will prompt for a password. Enter the password that you’ve used in this archive and your folder contents will be available for access. BitLocker Drive Encryption tool is part of the Windows 10 Pro and Windows 10 Enterprise built-in feature that allows you to securely encrypt your PC’s hard drive or removable drives. It is designed to prevent authorized access or exposure on drives that are lost or stolen. 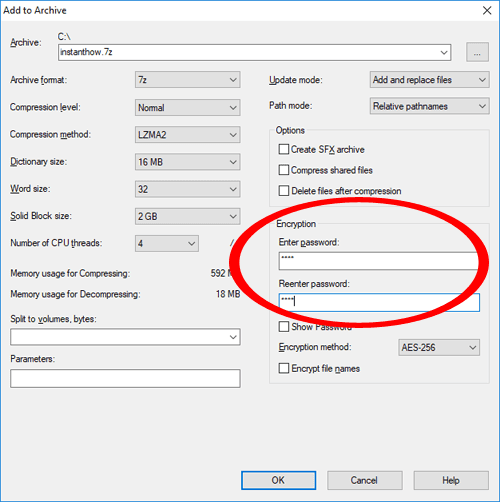 By using BitLocker to encrypt your drive, users will be required to enter a password before they can gain access to the drive. Lastly, when you used BitLocker to protect your drives, make sure that you don’t forget or lose your password else you may not be able to access your own files.